Intel aims to tap the elementary education market, as it launches Studybook, a seven-inch slate powered by Intel Atom Z650 processor. Part of the Intel's Learning Series, which also features Ultrabooks and notebooks, the Studybook tablet can be made to work with the Microsoft Windows 7 or Google’s Android Honeycomb platform. Intel's Studybook tablet comes with an optional 0.3MP front facing camera and an optional 2MP rear camera. Other optional features of Studybook are an accelerometer and light sensor, 3G and Bluetooth (all models support Wi-Fi) and a mini-High-Definition Multimedia Interface (mini-HDMI) SIM card slot for 3G connectivity. Intel says its Studybook slate is drop-tested for a little over 2 feet, is water- and dust-resistant and is suitable for kids as it weighs 1.2 pounds and measures 8.12 by 5.31 by 0.65 inches. 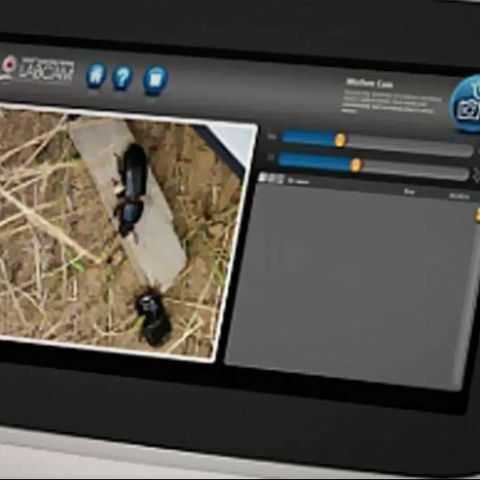 Intel's Studybook has a wide range of educational content, including an optimised e-reader that allows students to easily read texts on the device, and a LabCam, which incorporates the Studybook’s camera into a potential science lesson. Intel's Studybook tablet follows its Classmate PCs, which were introduced at the Consumer Electronics Show held earlier this year. There's no word on the pricing or release date of its Studybook tablet. Back in India, several educational tablets have been launched of late. Micromax has launched Funbook, while HCL has come up with Me Tab U1. However, these devices run on the latest Android 4.0 Ice Cream Sandwich platform and belong to the budget-tablet segment.